After their sold HMV Forum show last month Incubus have announced an full UK tour for November as part of the ‘If Not Now, When? World’ Tour. 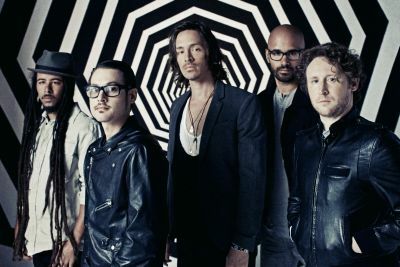 Having sold over 13 million albums worldwide, Incubus’ extraordinary career has spanned over a decade, and includes six studio albums, which have spawned a total of thirteen Top 10 rock hits with four singles debuting at number 1 upon their release. The multi-platinum quintet’s last studio album ‘Light Grenades’ debuted at number 1 on Billboard’s Top 200 (the highest charting album debut of band’s career) and has sold over 800 thousand copies to-date in the US. Hailing from Calabasas, California, Brandon Boyd, Mike Einziger and Jose Pasillas formed Incubus in 1991 while they were in high school with Chris Kilmore joining in 1998 and Ben Kenney joining in 2003. The band’s break came in 1999 with the singles, ‘Pardon Me’, ‘Stellar’ and ‘Drive’, from their second full-length, triple-platinum selling disc ‘Make Yourself’. The group’s third album, ‘Morning View’, released in 2001, debuted at number 2 on the album chart and included the radio hits ‘Wish You Were Here’, ‘Nice To Know You’ and ‘Warning’. In 2004, Incubus released ‘A Crow Left Of The Murder’ which achieved platinum status on the strength of the number 1 hit ‘Megalomanic’. Their hotly tipped new album, ‘If Not Now, When?’ is out now on Columbia records. Tickets are £27.50 (£28.50 London) and are on sale Friday, July 22 at 9am from: www.gigsandtours.com / 0844 811 0051. For more information visit the official Incubus website.